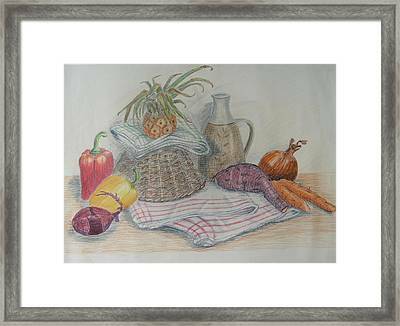 Still Life With Baby Pineapple is a painting by Geraldine Leahy which was uploaded on July 16th, 2010. 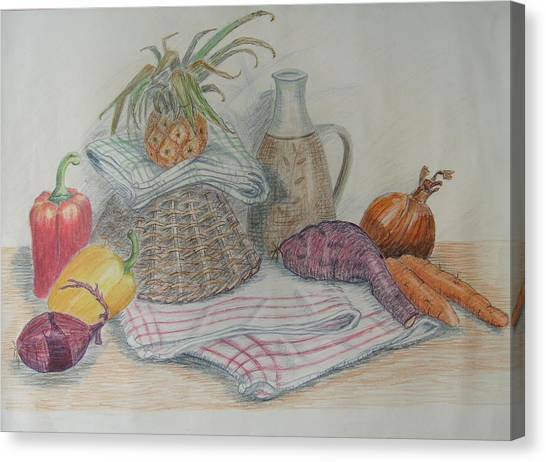 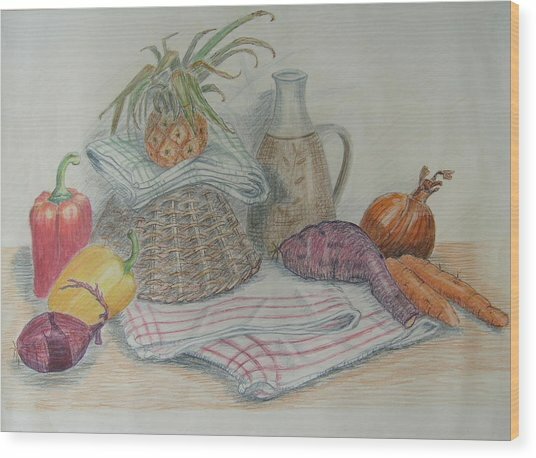 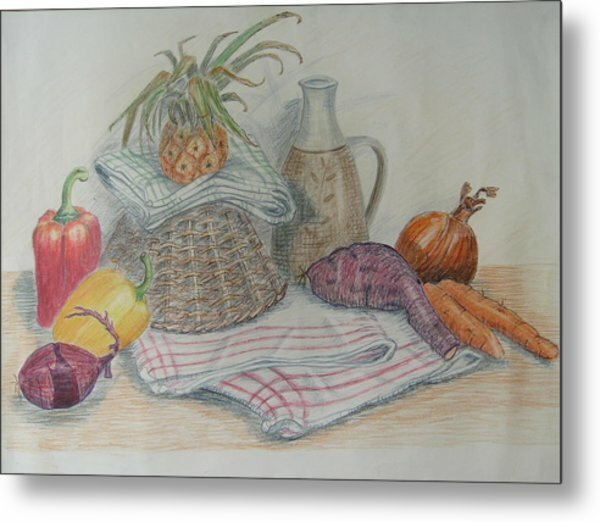 I like drawing/painting fruit and vegetables and was attracted to the shape of the pineapple leaves and the rough texture of the sweet potato. This piece is not for sale. 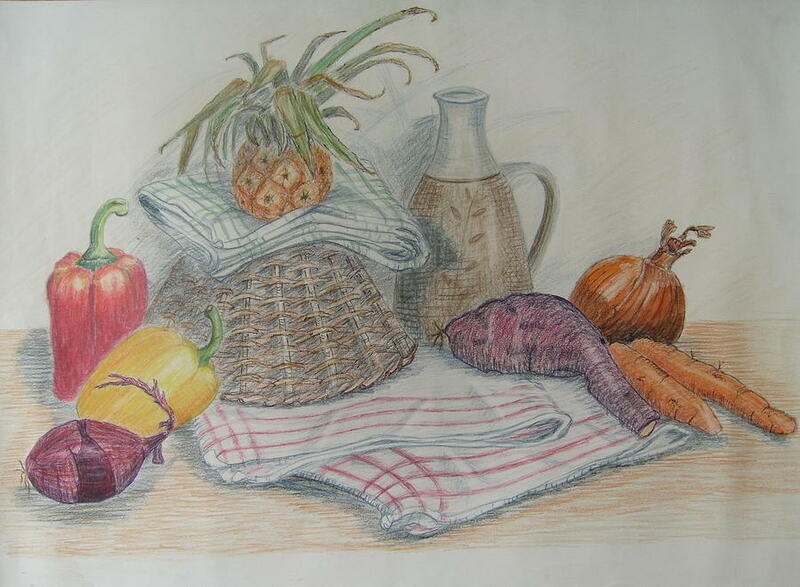 Please feel free to contact the artist directly regarding this or other pieces.